The bad policies of the past government under the leadership of former President John Mahama and the opposition NDC, led to the decline of agriculture in the country. 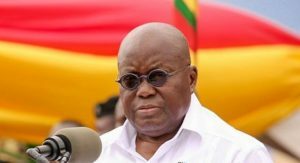 According to the President, Nana Akufo-Addo, the NDC did little to improve the agriculture sector. "The NDC failed to prioritize the agricultural sector, resulting to the low number of agric extension officers, low harvests and lack of financing for the sector," he added. Former President, John Dramani Mahama, has commended all farmers and fisher-folk for their hard work as the country celebrate Farmers' Day. Meanwhile, 60-year old James Obeng Boateng from the Brong Ahafo Region has been adjudged the 2018 National Best Farmer .